New Delhi: A recent study conducted at the AIIMS Trauma Centre has found that surveillance along with training, feedback and promotion of hand hygiene has resulted in significant reduction in hospital acquired infections. The study which was funded by Indian Council of Medical Research (ICMR) was conducted between 2010-2014. “As part of the study, we monitored the rates of Ventilator-associated pneumonia (VAP) in 4,840 patients, which was found to have reduced from 44 per cent to 8.1 per cent. “The rate of Central line-associated bloodstream infections (CLABSIs) reduced from 27.6 per cent to 2.4 per cent and Urinary Tract Infections (UTIs) reduced from 37 per cent to 2.6 per cent,” said Dr Purva Mathur, Additional Professor, Microbiology Department, also the Infection Control In charge, at AIIMS Trauma Centre. VAP is a fatal hospital acquired infection which occurs in people who are on breathing machines in hospitals and the infection often gets transmitted through hands of the healthcare personal and contaminated solutions. These infections are usually highly resistant to most antibiotics, said Dr Mathur. The CLABSI is a serious infection that occurs when germs (usually bacteria or viruses) enter the bloodstream through contaminated vascular lines. “It happens during the insertion of cannula to give intravenous injections, blood transfusions or to collect blood for tests. If the healthcare personal does not disinfect the skin properly or their hands, the pathogens which are present on the skin and hands of the healthcare provider get inside the blood during insertion of the cannula. “Healthcare providers must follow a strict protocol when inserting the line to make sure the line remains sterile,” she said. UTIs are extremely common infections. The tract is very close to the stool passing area which is heavily colonised with pathogens. While inserting the catheter, if the area around the urinary tract opening is not properly cleaned then there is a risk of all pathogens entering the body which in turn may cause UTI. “More than half of the hospital acquired infections are transmitted through contaminated hands. So hand hygiene is most effective practice know to reduce cross transmission of infection. 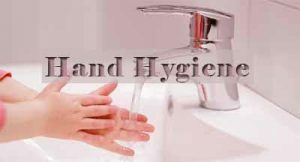 “WHO strongly recommends hand hygiene using alcohol based hand rub at every point of patient interaction. We constantly train and sensitise our staff including Resident doctors, nurses, technicians, sanitary attendants about the importance of hand hygiene, cleaning and disinfection of the environment and proper antibiotic use,” said AIIMS Director M C Mishra on the global Hand Hygiene Day.